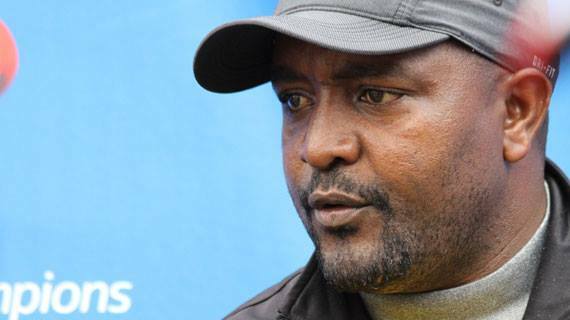 Mathare United head coach Francis Kimanzi says he is impressed with how well the team has started the new campaign. Mathare sit top of the Kenyan Premier League standings with 14 points from six matches played this far. Kimanzi says the team has improved from last season, saying the mental strength is stronger and hopes they can have consistency and keep the momentum. “It is very good to get results coming especially at this time when we are playing a strange season which is new to the players. It was more of a mental thing that we could not sustain the run we had last season but now, we are better and can continue for long,” Kimanzi noted. At the same time, the coach has lauded the impact of Kevin Kimani in the squad saying he has brought a lot of positives especially in attack. Kimani rejoined the side after a short stint with Sofapaka. “Offensively he brings in a lot and sometimes you need clever players who are quick and they bring with them some good statistics. Last season he didn’t play many matches but he had 10 assists and five goals so he is already building on that. That’s one of the reasons we brought him plus he also brings in some committed experience,” the coach said.